Feel refreshed and healthy by rubbing a custom green tea lip shimmer w/white tube cap! This lip balm acts in three ways – cosmetically enhances texture of lips, heals cracks or burns, and boosts spirits of users. This lip balm adds tint to the lip texture and creates an impression of healthy looking natural lips. Health Quotient – Formulated using enriching skin nourishing components such as aloe oil, beeswax, vitamin E, coconut oil, mineral oil, and many more. Green tea flavor included. Cruelty- free. Quality manipulators avoided. PABA free. Saccharin included. Directions – Apply green tea lip balm over bare lips or along with makeup to produce healthy effect. Avoid rubbing it over eyes or face as a moisturizer substitute. 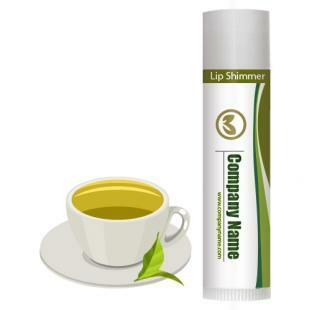 Gifting Favors – Custom green tea lip shimmer w/white tube cap can be sought for gifting by restaurants, cafes, pizzerias, herbalists, healthcare services and other food marketers.